Dom Dwyer and Orlando City newcomer Nani came off the bench to help the Lions complete their comeback from 2-0 down in a draw with NYCFC. There is plenty that is going right in Jonathan Lewis' life these days. He's coming off a U.S. national team camp in which he provided an unexpected spark in two friendly matches, assisting on two of the five goals the U.S. scored. Last Saturday against Orlando City, the New York City FC winger started the match and provided an assist on Ebenezer Ofori's goal. 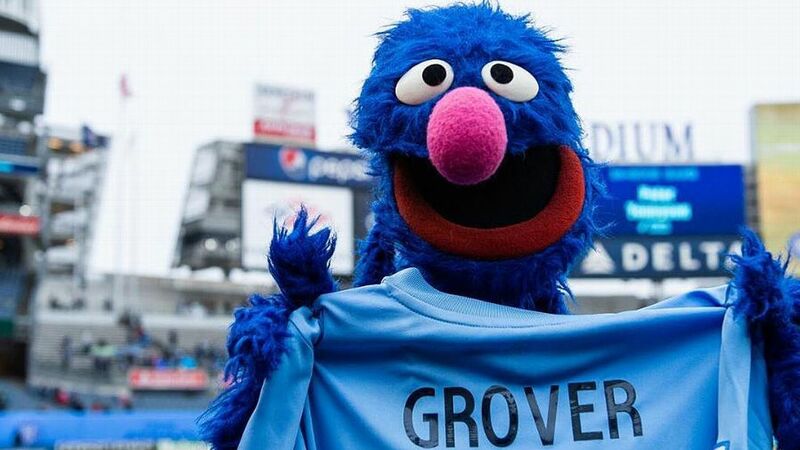 The 72 minutes he spent on the field matched the longest stint of his MLS career. Yet there is a word that will dampen Lewis' mood when uttered: super-sub. "If it's what's best for the team, that's what I want to do," he said, his distaste for the label evident. "But I don't really like the term, nor do I really agree with it." It's not that Lewis doesn't see value in the role, but like the term's near cousin, "utility man," there's a not-ready-for-prime-time feel to the tag. That is what Lewis is trying to leave behind. "I think I can give more to the game, and I definitely have stuff to learn, but I think that for my development, the next step is for me to come out of that mold because for me I don't think I would get better being a super-sub for the whole year," he said. For perhaps the first time in his career, there is agreement that Lewis is ready to take on more responsibility. Last month, in an interview with ESPN FC, sporting director Claudio Reyna noted how Lewis had matured and added a layer of accountability to his performances, not just in games but in the daily grind of training. Now after two years of being a bit-part player, Lewis is ready to contribute more. More importantly, he's aware of how to get there. "Everyone asks the question, 'Why are you not playing?'" he said. "You might feel like you're doing enough. Sometimes you are doing enough. And I've heard multiple times when I've gotten on the pitch that sometimes I've produced things. But I realize that's not enough. You have to do extra. You have to not worry about the next play or next person. I was thinking way too ahead. 'What about this, what about that?' Now I just worry about what's in front of me, taking it training by training, game by game. Jonathan Lewis is ready to be an impactful part of New York City FC's starting XI. "That's one of the things I slowly started to learn. And the coaching staff says they see maturity in me now, they trust me. That was really just it. There's a level of trust, and that's why I've been thrown in again." Lewis has long had a skill set that tantalized coaches and scouts, with his quickness and close control allowing him to prevail in one-on-one situations and unbalance opponents. It's the kind of ability that saw him join Bradford City as a 16-year-old before homesickness hastened a return home. His skill could eventually translate into double figures in both goals and assists. "Anytime you can find him isolated, he will normally beat his man down the line," said U.S. U-20 manager Tab Ramos, who managed Lewis at the youth level. "His first four or five steps remind a bit of Cobi Jones, where he can lower his shoulder one way and just go the opposite way really quickly." 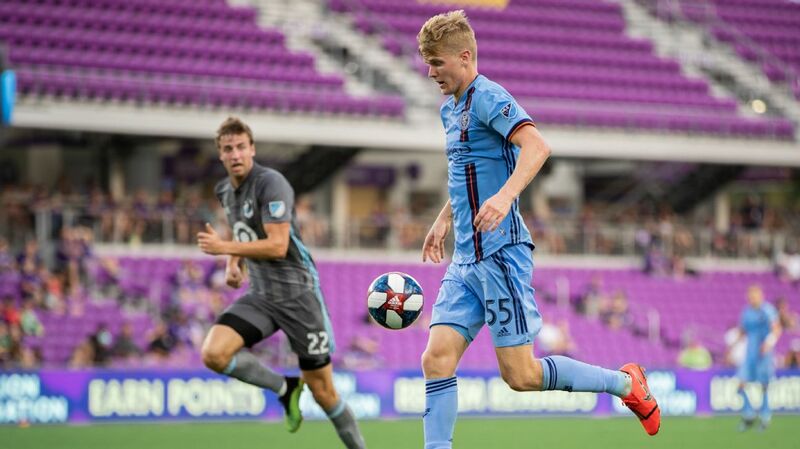 Big things were expected of Lewis back in 2017 when NYCFC traded up in that year's MLS SuperDraft by sending $250,000 in allocation money to the Chicago Fire in exchange for the third overall pick. Over the course of two seasons, Lewis showed flashes of ability, but not the kind of consistency that would translate into steady playing time. His on-field minutes actually went down last year to 219 compared to 342 minutes during his rookie season. But Lewis got a boost from what could have been interpreted as a low moment. Last September he was loaned to USL side Louisville City, a step down in level. But that also meant playing under former U.S. U-17 manager John Hackworth, who has vast experience in developing young players. Hackworth found in Lewis a player who was clearly talented, but overthinking things on the field. "Lewis will think about training sessions, he will think about a play that he made in a game, he'll want to talk about it, he'll want to analyze it," said Hackworth. "My advice to him was that he overanalyzes too much. And he just has to keep things more simple, let the past play go. "I absolutely love if a player reflects on what they do well, what didn't work for them, what was in between at all levels; on the field, off the field. But there's a point where you just have to -- in Jonathan's case in particular -- put those things down on a piece of paper, put him in your notes on your phone. And then let it go so you can move on to the next thing because there is a fine line there, and once you let your thoughts dominate what's currently going on [in] your life, your present, or what your future could be, that becomes an obstacle in and of itself." It's an assessment that seem incongruent with Reyna's description of a player who didn't hold himself accountable. Reyna's explanation hints at a player who perhaps wasn't as dedicated to his craft as he needed to be, while Hackworth's points to a player caring too much. But the two critiques aren't mutually exclusive. There is the decision to do things like putting in extra work during and after training, and then there's the thought process of freeing one's mind on the field. The loan had the desired effect, even if Lewis' numbers -- one assist in five games over the course of a month -- didn't dazzle the eye. Hackworth challenged Lewis to be more ruthless in running at opponents. The manager didn't care if Lewis lost the ball nine times, if he succeeded on the 10th it would be worth it. And Lewis credits Hackworth's critiques for a renewed focus and clarity, which has led to his success. "That [aggressiveness is] what's going to get me to the next level, playing every game," said Lewis. "It's attempting these things and then it becomes muscle memory, and you're going to start executing. That's how you get better. But when you don't have that killer instinct, that drive to say, 'I want to be the man,' you'll always be on the side. That was the part where I think he really helped me realize that that's what I need to do." If Lewis made the most of a difficult situation, he soon was handed a bonus in the form of a national team call-up, one that was completely unexpected. "If I'm being honest with myself, I didn't deserve to get called into the national team camp in terms of I haven't played that much, I'm still an unknown commodity," he said. "For me it was a shock, crazy. But sometimes you need that little bit of luck. I was lucky to get called into the national team and I knew I had to go in and show my professionalism, show that I work hard and that I'm committed." Lewis made the most of his chance, even if he was reduced to the dreaded super-sub role. He twice came off the bench to do what he does best, run at defenders, and each time he beat a man to the end line and then passed to an open teammate to score. Against Panama he set up Christian Ramirez for a tap-in. In the following game against Costa Rica, his deft chip allowed Sebastian Lletget to head home. The challenge now is to keep his success going at club level. 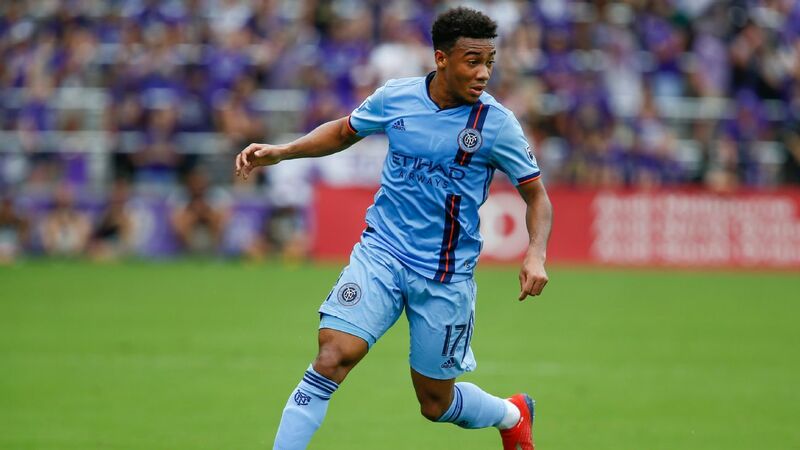 NYCFC manager Domenec Torrent has demanded as much, saying he wants to see Lewis do over 90 minutes what he's been doing in bursts with the national team. NYCFC's roster is certainly stocked with attacking talent, but now is the time for Lewis to break through, and he knows it. "I want to make this year a statement year, prove that I can play," he said. "These last years I felt were good development years, but this is the year that I want to show what I could do and show that I can break out and become a good player." At which point, the super-sub label will be put to rest.